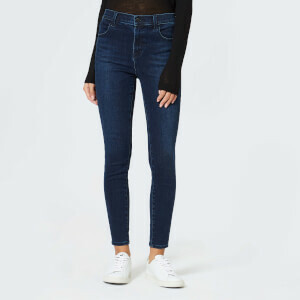 Women's high-waisted skinny jeans from J Brand. 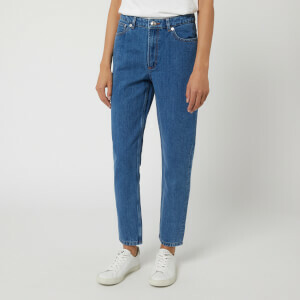 Crafted from stretch denim for a form-flattering fit, the high-rise '23110 Maria' jeans have been attributed with an indigo blue wash and subtle sanding to the front for a faded finish. 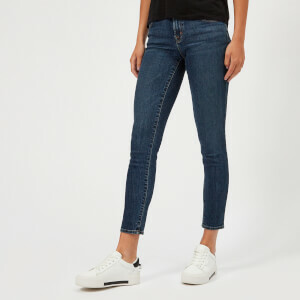 Incorporating classic details, the jeans feature a zip fly, four pockets and branded hardware. V-shaped yoke to the rear. 43% Viscose, 33% Cotton, 17% Lyocell, 5% Polyester, 2% Elastane.